A set of drawings by Douris on an Athenian red-figure cup from Vulci in Etruria (490-480 B.C.) The deeds of Theseus are shown to rival the deeds of Herakles, the Athenian hero to be equal to the Dorian demigod. 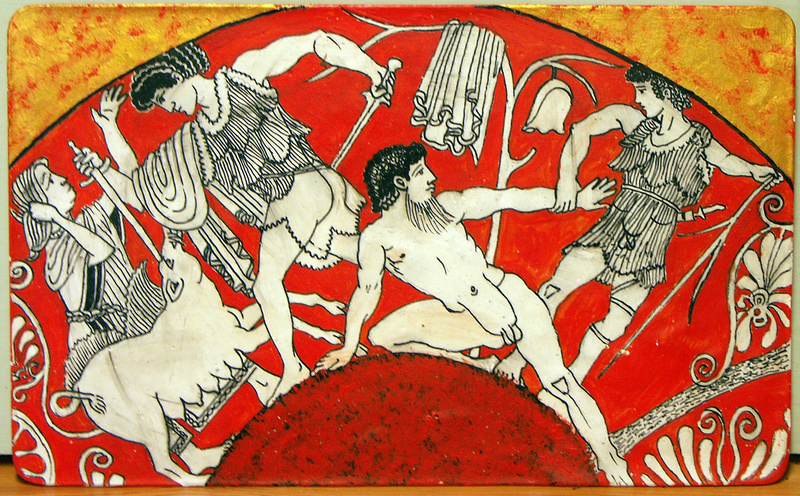 Herakles is a tough, mature man, Theseus is boyish, but he overcommen. Copy by Diana Webber, 2015. Published August 10, 2016 at 1290 × 800 in Ancient Greece. Trackbacks are closed, but you can post a comment.